Invigorate your mind and body with high-quality Organic Eucalyptus Essential Oil from Dr. Mercola's line of Healthy Home products. 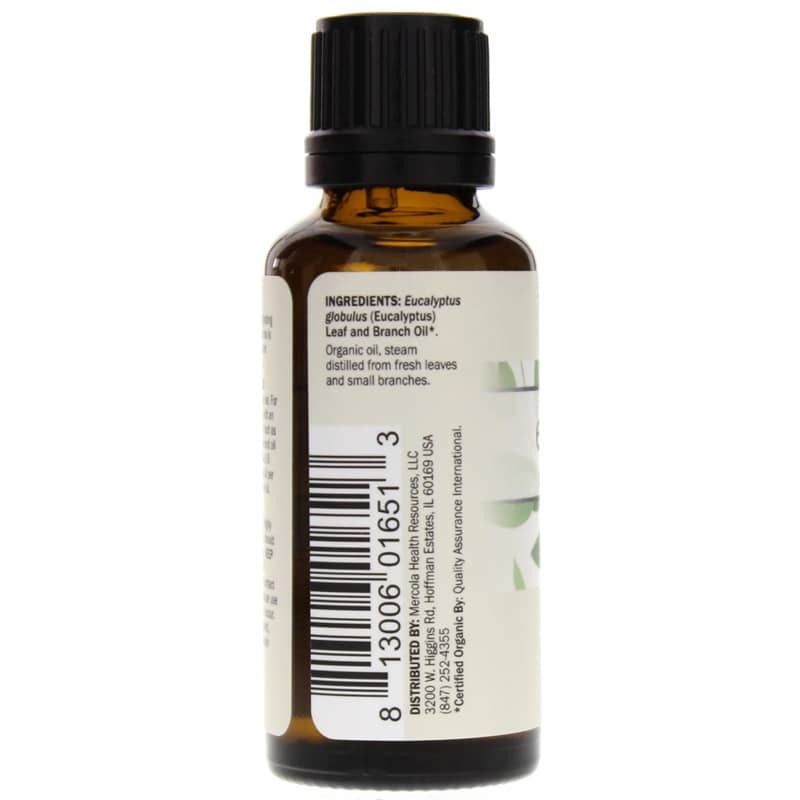 Dr. Mercola's Organic Eucalyptus Essential Oil is steam distilled from fresh, organic eucalyptus leaves and small branches to produce a strong and aromatic oil with revitalizing, invigorating and clarifying properties that support mental focus. For respiratory support, mix two drops with a drop of lemon oil, a drop of rosemary oil and one tablespoon of argan oil. Massages the mixture onto your chest, neck, forehead, cheekbones and nose area. 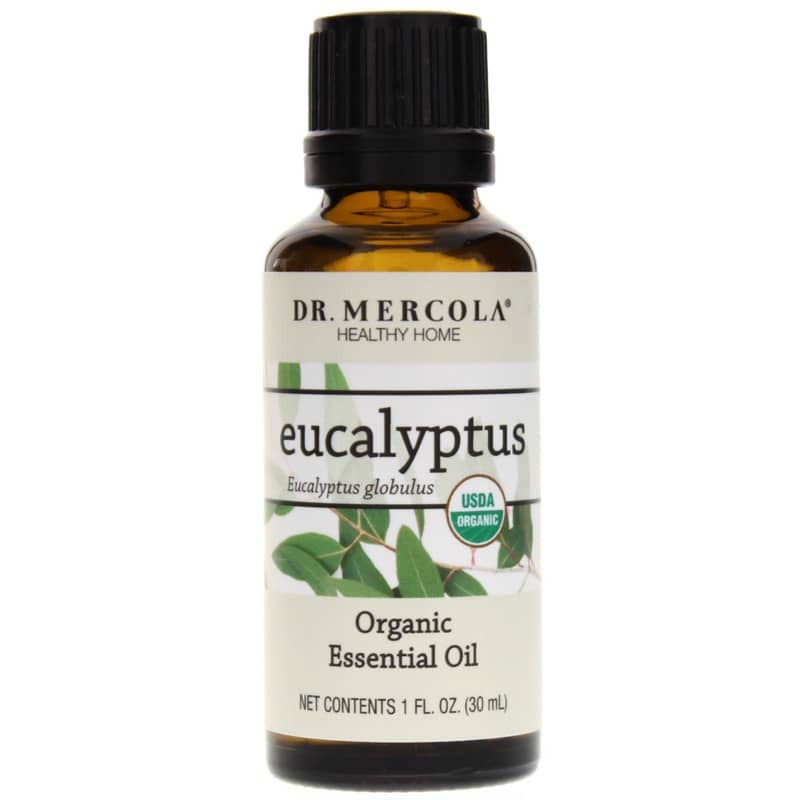 Dr. Mercola's Organic Eucalyptus Essential Oil can be used alone or mixed with other high-quality oils. All of Dr. Mercola's pure, organic essential oils are free of synthetic, harsh and GMO ingredients, and are pesticide- and herbicide-free. Each oil is researched, scientifically formulated and carefully tested to be of the highest grade and quality. 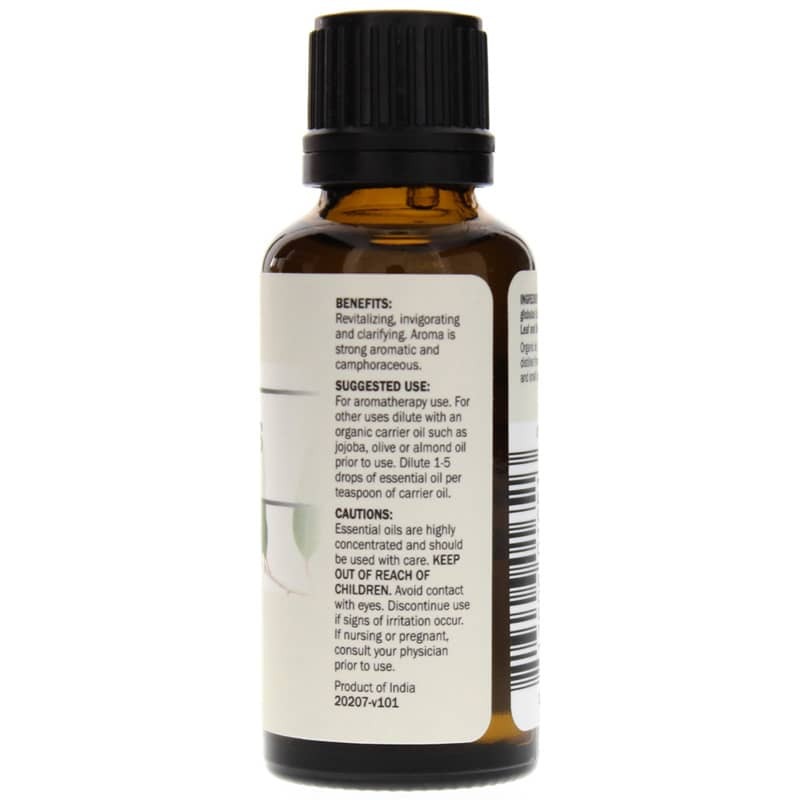 Order your Organic Eucalyptus Essential Oil today. (steam distilled from leaves) Cruelty-free.